LISBON, Dec. 4 (Xinhua) -- Chinese President Xi Jinping arrived in Portugal on Tuesday for a two-day state visit aimed at carrying forward friendship and expanding cooperation between the two countries. It is the first visit by a Chinese head of state to the European country in eight years. Two Portuguese fighter jets escorted Xi's plane as it entered the country's airspace. 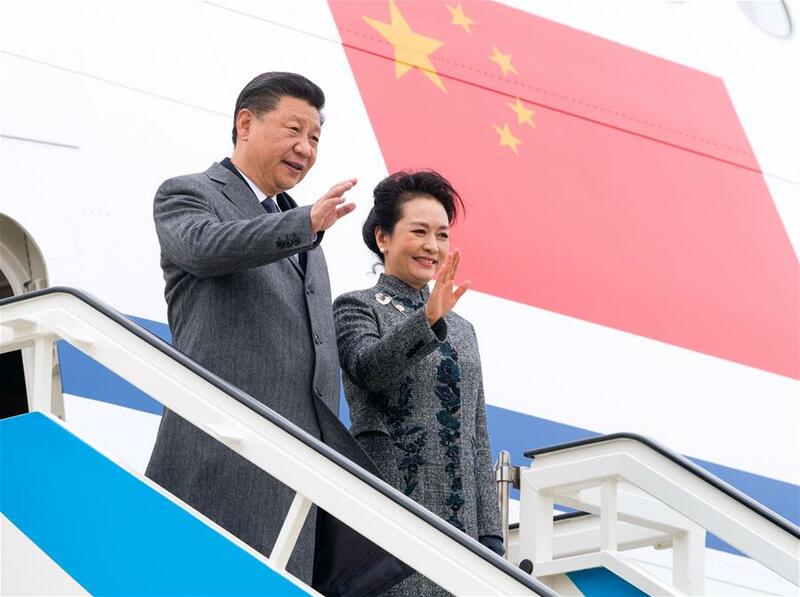 Xi and his wife, Peng Liyuan, were greeted by senior Portuguese government officials at the airport. While delivering a written speech upon arrival, Xi praised the traditional friendship between China and Portugal, saying that the bilateral relations have withstood the test of time and international vicissitudes and become even stronger. In 1999, the two countries properly resolved the question of Macao through friendly consultations, setting an example for other nations to tackle issues left over from history, Xi said. In 2005, China and Portugal established a comprehensive strategic partnership, which enabled their mutually beneficial cooperation to embark on a fast lane of development and deliver substantial benefits to the people of the two countries, Xi said. He said that next year marks the 40th anniversary of the establishment of diplomatic ties between the two countries, which is a new starting point in history for the bilateral relations. Xi said that he is looking forward to meeting President Marcelo Rebelo de Sousa, Prime Minister Antonio Costa and other Portuguese leaders to draw up the blueprint for future bilateral cooperation. He added that he believes with the concerted efforts of both sides, the China-Portugal comprehensive strategic partnership will enjoy an even brighter future. Portugal is the final stop of Xi's Europe and Latin America tour, which has already taken him to Spain, Argentina and Panama. In Buenos Aires, Argentina, Xi also attended the 13th Group of 20 summit, and met U.S. President Donald Trump as well as leaders of other countries. When Xi left Panama for Portugal, Panamanian President Juan Carlos Varela went to the airport to see him off.